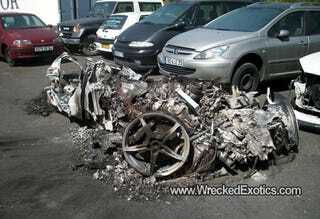 The fire that consumed this Ferrari 458 Italia was so bad the only recognizable pieces left are the wheels. The car's engine caught fire in France when the driver was out doing some mountain carving. Horrifying.